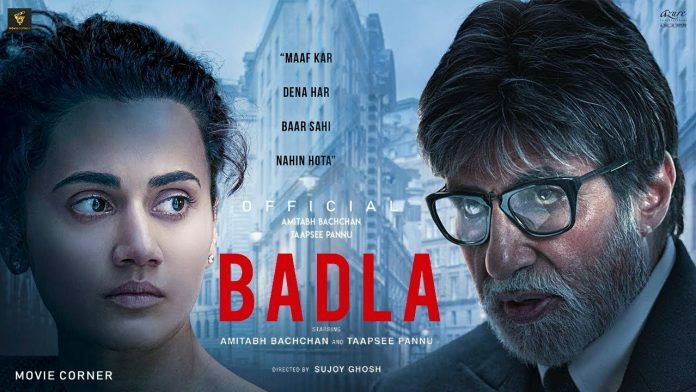 Seven years after the release of the critically acclaimed film Kahaani, Sujoy Ghosh’s Badla has hooked the nation with it’s intriguing and thrilling content. The murder mystery starring Amitabh Bachchan and Taapsee Pannu, leaves the audience on the edge of the seat. Like Kahani shocked everyone with its brilliant thriller climax, Badla too offers a story full of twists and turns. Since, Badla completes week 1 at the box office, the Sujoy Ghosh directorial has surpassed the collections of his last outing Kahaani by raking in 38 Cr at the box office. Kahaani had garnered 23.79 Cr in its first week. Globally, th film has collected USD 2.45 million (few territories yet to report) in its first week. Post engaging the audience in the lucrative run of Kahani, Badla has been minting moolah at the box office presenting equally captivating if not more murder mystery. The crime thriller revolves around Taapsee Pannu’s character Naina who is stuck in a murder scandal. Playing Badal Gupta, a lawyer to Naina, Amitabh Bachchan has recreated the magic of Pink.